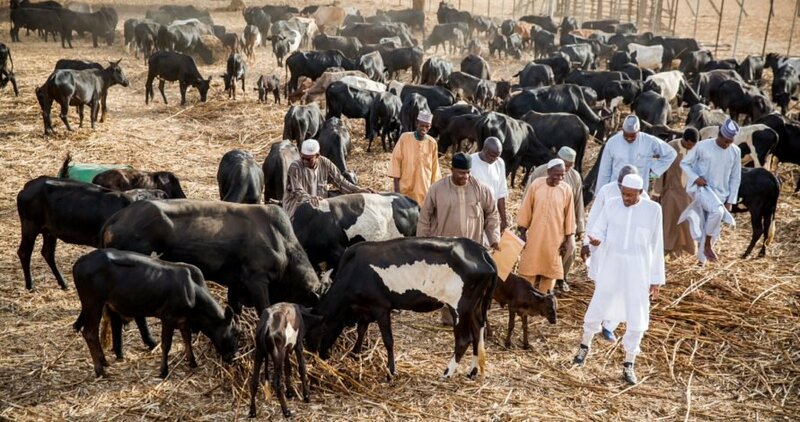 President Buhari has assured that succor is on the way for farmers negatively impacted by the excessive rains of this year. "Two weeks ago, the National Food Security Council met and we approved a compensation package for all flood impacted farmers and fishermen. I want to assure all flood affected farmers and fishermen that you will be helped. This government is with you in your time of need. As I speak to you now, the modalities for this compensation programme are being finalized and very soon, we shall start implementation." President Buhari commended the theme for the Farmers’ Day, which is, Youths, Agents of Agricultural Development in the Niger Delta, noting that farming is the bedrock of the Nigerian economy. "Our future economic prosperity hinges to a large extent on how we modernize and expand our agriculture," he added. "Youths account for some 62% of our population. This group, full of energy and drive, are the catalyst that will steer Nigeria in the direction that will make us realize our full potential. Across many value chains, we are supporting meaningful projects in partnership with private sector players. This is the only way Nigeria can feed itself in a sustainable manner. We are working very hard to enable the youths actively participate in this agricultural revolution, and I take this opportunity to congratulate you all on responding positively to this call." "We cannot afford to remain a mono-product economy, relying only on oil as our mainstay. We cannot continue feeding ourselves with imported food when God has blessed us with all the bountiful resources we need to feed ourselves," he said. "Floods are a natural phenomenon that man cannot control. I want to appeal to you all not to be dispirited, but to rise to the challenges."